PBR @ Cowboys Dancehall Tonight! Tonight, February 15, 2014, we are twisting the cap off of another installment of Y-100’s presentation of the PBR at Cowboys Dancehall in San Antonio. 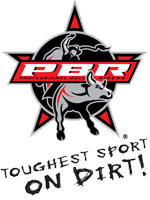 The PBR season is in swing for 2014 …every bull rider is making their plans and shooting for the 2014 PBR World Championship and the $1,000,000.00 championship prize. Two sections of bull riding: 8:30 p.m. & 10:30 p.m. Make plans to attend and see the best bucking bulls and bull riders in the world right here in San Antonio! Matt Bohon-Five time PBR Finalist and two time event winner. David Mason-Australian bull rider that have been coming on strong to the field lately. His win late last year at Wollongong in Australia has given him a big time boost. Kaique Pacheco de Oliveira-This will be one of the first U.S. appearances for this 19 year-old Brazilian. He already has two big time event wins back home in Brazil-which is no small feat! I am excited to get to watch him ride-you should be too! Robson Aragao-“Spiderman” is back and he is riding better than ever. I am sure he will put on a good show. 871 “Hell Pony”-This bull is straight up rank, electric and fun to watch. PBR World Champion JB Mauney was 88 points on this bull at Albuquerque last year..on one of the most exciting rides I have ever seen. 707 “Strokin”-PBR Finals Bull and the bull that PBR World Champion Guilherme Marchi rode for the ’12 Tampa BFTS Event Win. 620 “Blonde Bomber”-2013 PBR Finals Bull and PBR Maturity Madness Winner. +2/7 “Red Man”-PBR Finals Bull and the bull that Silvano Alves rode to solidify his first PBR World Championship in 2011. David Mason on Currey Creek’s PBR Finals Bucking Bull R351 “Get a Holt’ On”-The bull rider is riding pretty darn good lately and I know the bull will do his job as usual-big points could be in store for the Aussie. Robson Aragao on Covenant Rodeo Livestock’s 555 “Night Moves”-As I said earlier, this guy is on fire right now and this is a “money bull” that guys ride for a lot of points. “Spiderman” might just put a “web” on this bucker for the event win! ← This Saturday PBR @ Cowboys Dancehall San Antonio!